Preheat the oven to 160°C/320°F. Slice garlic. For the mint sauce, finely chop the mint, parsley, and chili. Mix with the olive oil, balsamic vinegar, salt, and pepper in a small bowl. Salt the rack of lamb on all sides and fry over medium-high heat in a pan, then add garlic. Transfer to preheated oven and roast at 160°C/320°F for approx. 10 min. 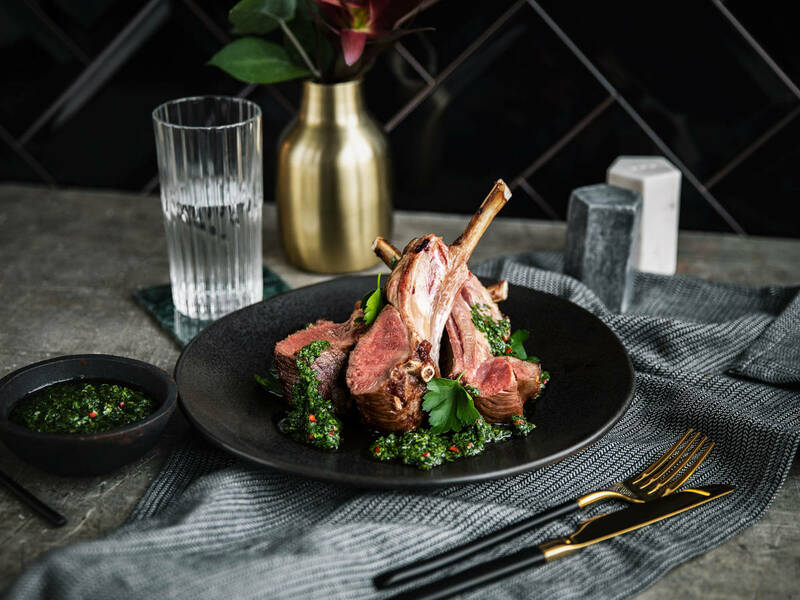 Slice the lamb into chops and serve with mint sauce. Enjoy!